LGBT activism in Chile has increased substantially in recent years. 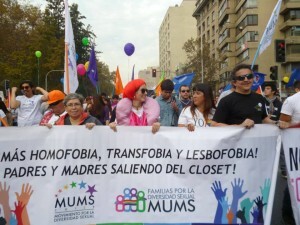 The growth of LGBT organizations can be seen in the many events held for May 17, 2014 – with actions held across the country and tens of thousands of people participating in IDAHOT 2014 events in the capital, Santiago. Chilean activists take to the streets of Santiago for IDAHOT 2014. The organization Iguales Chile Santiago organized on May 17 together with the Municipality of Maipú an activity in the Plaza de Maipú in which they demonstrated with a 100 metre long rainbow flag, and held a series of “closet” discriminatory audio presentations, designed to sensitize people about what life in the closet is like for LGBT people. 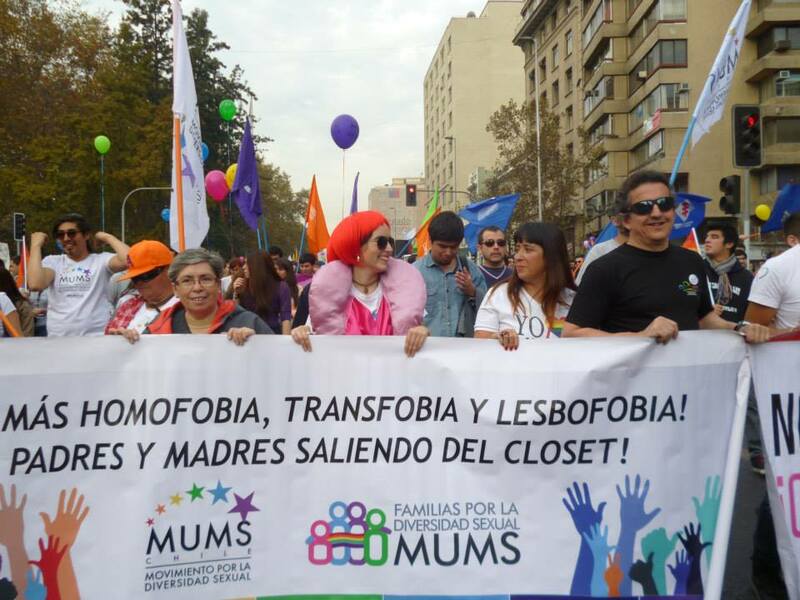 On the other hand the MUMS (Movement for Sexual Diversity) organization, together with other groups, participated in a massive parade that was held in the city of Santiago de Chile and started from the Plaza Italia – with over 50,000 in attendance. It was conducted under the slogan “March Against Discrimination ” and participants were encouraged to use the hashtag #YOMARCHOEL17 to add their support online. The organization MOVILH encouarged local authorities across the country to raise the LGBT rainbow flagm with more than 22 municipalities and five embassies participating – in a clear show of support from the communal governments, for inclusive and anti-discrimination policies in the country. 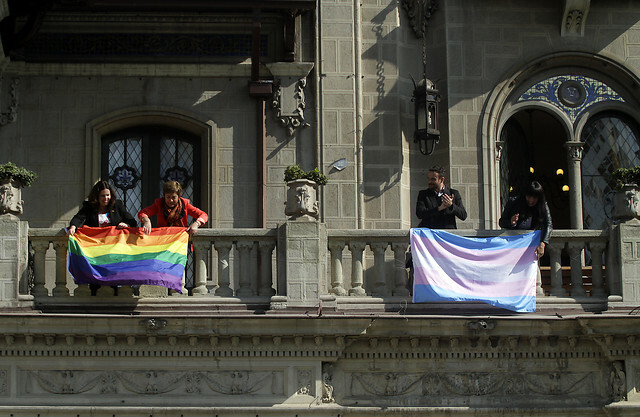 Local authorities fly the rainbow flag all over Chile for IDAHOT 2014. 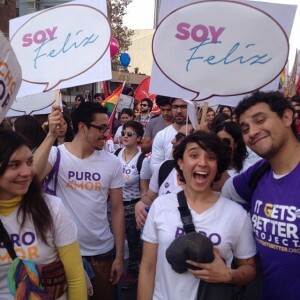 The organiation It Gets Better (Todo Mejora) organised various activities for May 17 in the country including a media campaign to prevent homophobic bullying. 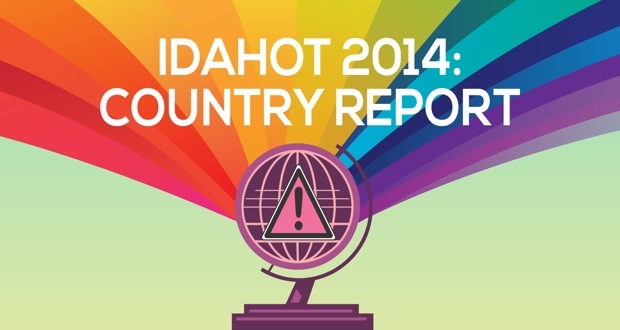 One of the many It Gets Better country affiliates – in Chile – takes action for the IDAHOT 2014. Art Auction to support programs for children and adolescents who suffer homophobic bullying and family rejection. The Interagency Gender Working Group of all UN agencies focused on suicide prevention and the homophobic bullying that affect children and adolescents presentation. Event with the High Commissioner of Human Rights, and the National Human Rights Institute focused on the effects of homophobia on children and adolescents, with the participation of more than 50 schools in different districts – principals, teachers and students. From the government area, the Municipality Providencia held a working week of events that began on May 13 with an Opening Ceremony of the Week against Homophobia in presence of the Youth Philharmonic Orchestra Providence and ended on Friday May 23 with Forum called “Homoparenthood and AVP”.